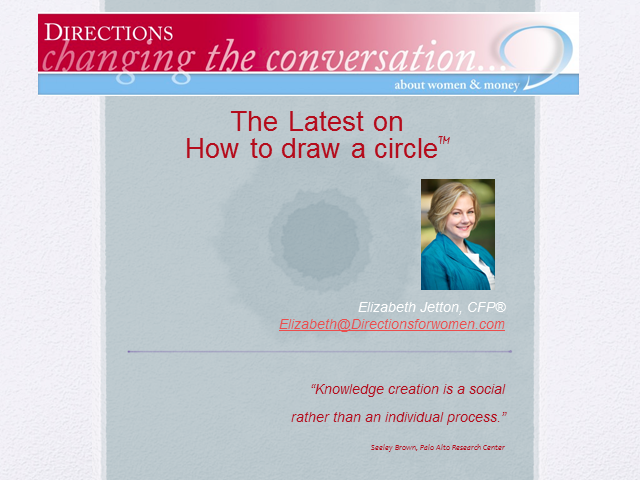 Hear the latest Stories, Planner Results, Client Impact and Research on using “Circle” and other Participatory Processes to empower, educate and engage women. Join us for a session designed for advisors who want to enhance their ability to serve and attract women clients. We will explore what it truly means to change the conversation with women about money, discuss how to facilitate participatory events, such as circle and conversation cafes, and consider the impact of Changing the Conversation.